Traditionally, Pakistan has invariably remained nervous about Afghanistan’s closeness with India. Pakistan’s military chief, who is on an official visit to the United States, is reportedly carrying Afghanistan’s stalled peace process at top of his agenda, and is expected to discuss it with his American counterparts. The issue may likely eclipse other discussions on Pakistan’s nuclear program. Both Pakistan and the India have been trying to reach out to Kabul on different levels: Pakistan because of its direct involvement in the Afghan conflict and India because of its growing economic and diplomatic stakes in Afghanistan. President Ashraf Ghani of Afghanistan, frustrated over Pakistan’s inability to restrain the Afghan Taliban, which use Pakistani territory to stage attacks, has begun to reveal his growing proximity towards India. In order to woo Pakistan, President Ghani, during the first few months of his presidency, overtly refused any direct Indian military assistance. In a turn of events, Afghanistan has now approached New Delhi for direct military assistance, ignoring Islamabad’s concerns and sensitivities. Relations between the Pakistanis and Afghans have worsened in recent months. Afghanistan, on many occasions, has accused Pakistan of allowing attacks to occur on Afghan soil. Militants associated with the Afghan Taliban, a month ago, laid siege to the Afghan city of Kunduz and held it for days. It was only after U.S. military assistance that Afghan forces were able to take the city back. Days after the attack, the Afghan media accused Pakistan of supporting the Taliban assault. Pakistan, however, denied the allegations. For its part, Islamabad has snubbed Kabul for not doing enough to contain fleeing terrorists from Pakistan’s tribal areas. Pakistan’s approach towards its national security has witnessed some positive changes in the meantime. Pakistan has condemned the Afghan Taliban’s recent militant surge and is pushing them towards reconciliation and dialogue. It is doing all this while keeping up its own military campaign against domestic militants. India, meanwhile, continues its own approach toward Afghanistan. As noted in a recent report published by the U.S. Congressional Research Service, New Delhi’s policy goals in Afghanistan comprise of measures aiming at containing and isolating Pakistani influence there. India’s interests of thwarting Pakistan from regaining influence in Afghanistan only complicate the security situation in the country. Arguably, the last thing anyone needs in Afghanistan’s convoluted militant theater is Pakistan pulling out of the existing stalled peace process, which it has consistently been pushing for in recent months, and reverting back to its old policy of differentiating between “good” and “bad” Taliban. Pakistan’s recent peace efforts in Afghanistan have been appreciated by the international community, but emerging reports of Indian involvement in Afghanistan can only harm Pakistan’s hard-earned reconciliation approach in Afghanistan. Infighting among the Afghan Taliban for the leadership of the group has already limited Pakistan’s influence on the group. While different factions have refused to pledge their allegiance to Mullah Akhtar Mansour, the newly elected Amir of the Afghan Taliban, a breakaway faction with control over a large group of militants, has also appointed its own successor to Mullah Omar. Adding to the complication, in recent months, the situation across the Line of Control (LoC)–the working boundary between India and Pakistan in Kashmir–has remained volatile. With bilateral relations between India and Pakistan sliding further into the abyss, both countries have been trying to settle scores in international institutions. Pakistan has presented dossiers at the United Nations (UN) pleading for action against India’s growing involvement in Pakistan and India has stressed the issue of Pakistan’s state-sponsored terrorism. Kabul’s growing closeness with New Delhi won’t sit well with Islamabad, especially with the military establishment. India needs to understand Pakistan’s security sensitivities in Afghanistan. 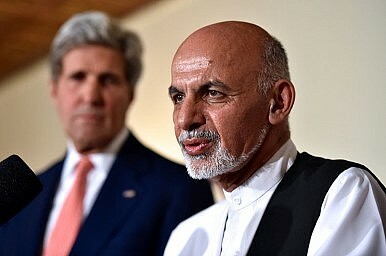 Kabul, meanwhile, should focus on formulating a balanced policy towards both countries. Indian objectives of gaining in Afghanistan at Pakistan’s expense will only create further problems. Going forward, Afghanistan needs to carefully walk this tightrope as it seeks to balance its role between these two historic foes.